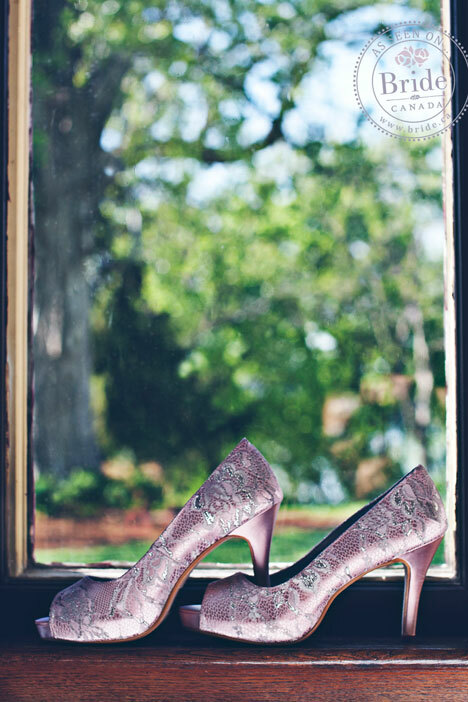 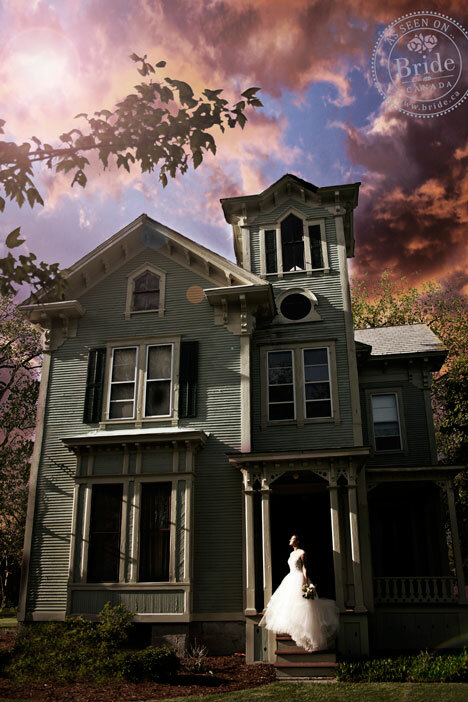 A Victorian house built in the 1800's was the perfect setting for this romantic styled shoot by Lis Photography. 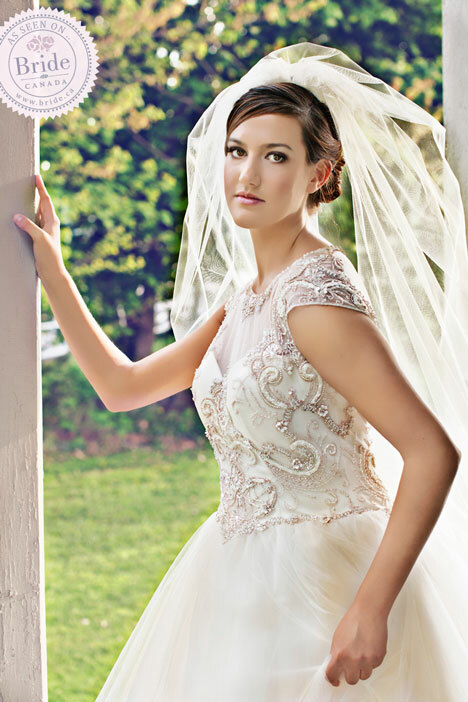 This ballgown by CB Couture is both elegant and romantic. 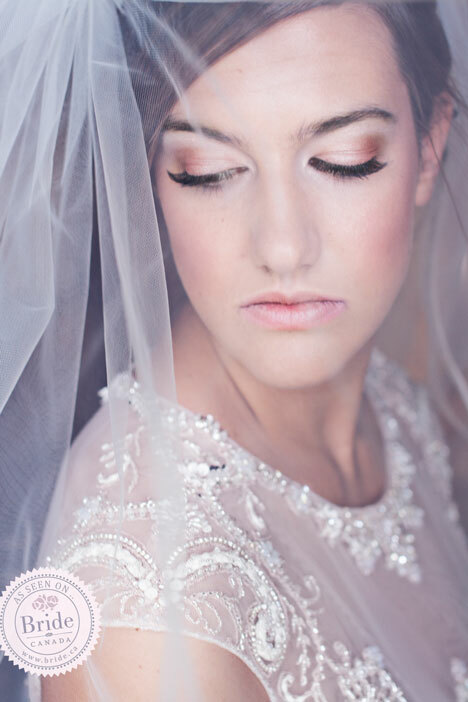 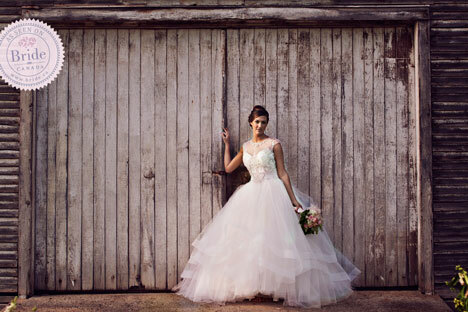 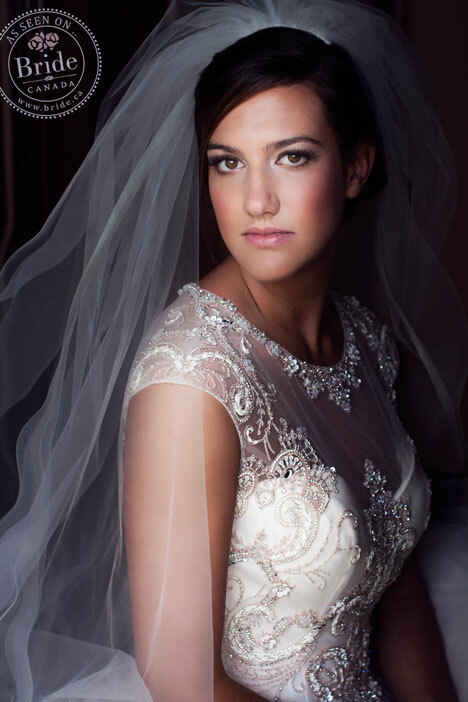 We adore its jewelled illusion neckline, delicately beaded cap sleeves, and softly layered tulle skirt. 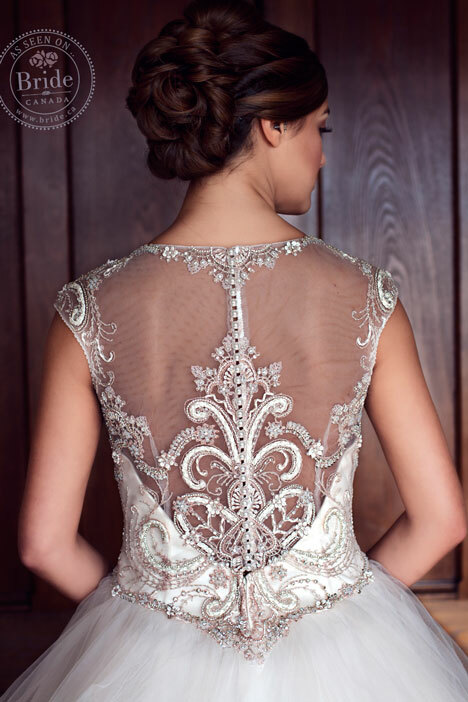 The back of this dress is equally as beautiful; with its amazing beadwork and pearlescent buttons, you are would be guaranteed to 'wow' guests wearing this dress on your walk down the aisle. 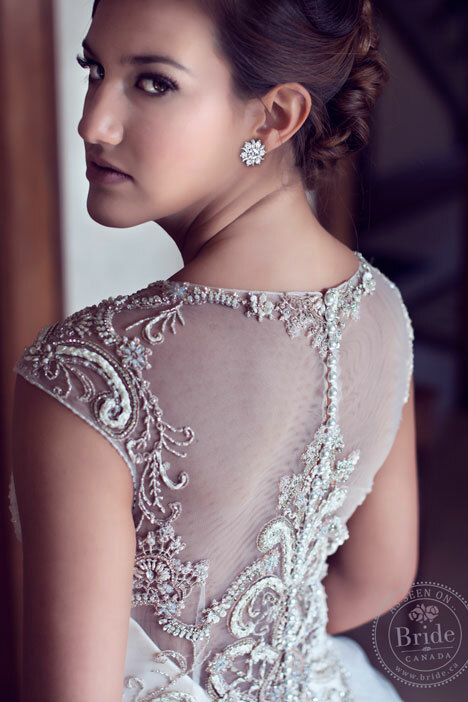 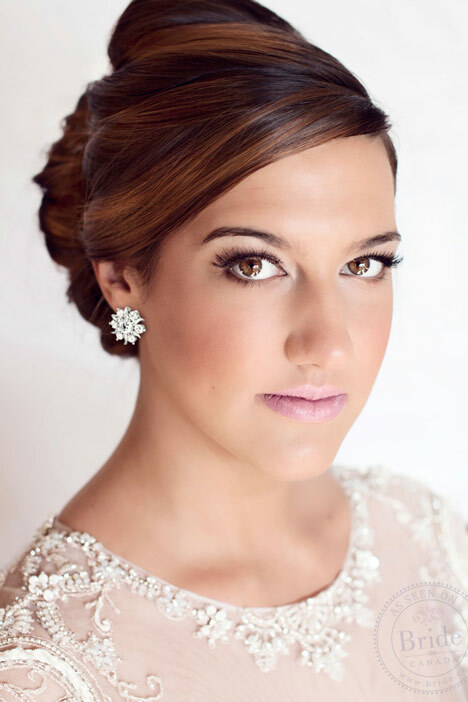 The elegant French-twist up-do allows the intricate beadwork to shine. 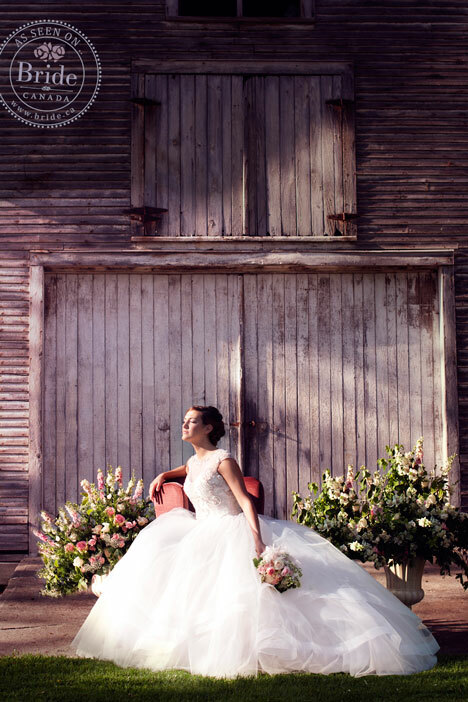 The bouquet, crafted by Distinct Designs by Diane Spalding, ties in perfectly with the romantic location and dress. 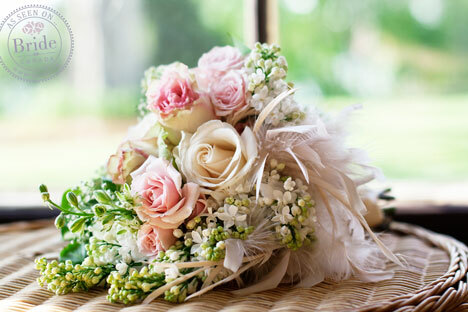 Its delicate feather accents and baby's breath are the perfect complements to softly-hued roses.